My first contact with Maleficent came in the form of the trailer, which I have to say was one of the most exciting and intriguing trailers I have seen for a long time. The sinister atmosphere that was conveyed combined with the new melancholy take on Once Upon A Dream by Lana Del Rey gave the promise of something substantially better than Disney’s other recent ‘retelling’ narrative, the rather disappointing Oz The Great And Powerful. 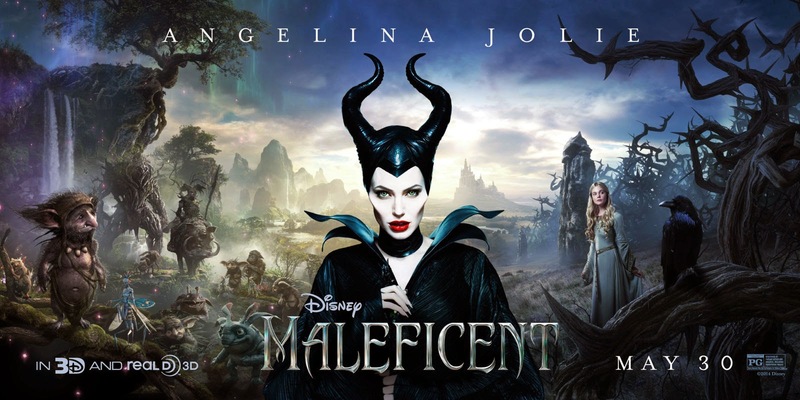 With a seemingly well chosen cast list and the potential for interesting perspective on a well known fictional figure, I went in to Maleficent with a great deal of hope that this would not be a case of a film’s trailer trumping its feature content. Sadly, as the minutes ticked by it became increasingly clear that my fears were to become a reality. The film begins more or less solidly, setting a strong premise and laying down the roots of the ‘story behind the story’ with regards to Maleficent, originally a kind hearted fairy who turns to vindictive and evil practices after a betrayal by her human love, Stefan. The plot then starts to intertwine with the well known story of Sleeping Beauty, beginning with a faithful and enjoyable reconstruction of the infamous curse scene, but from there the narrative separates from the one we know so well and attempts to show the audience a side to Maleficent that is altogether more amiable and three dimensional. The film clearly owes a great creative debt to Wicked, the untold story of the witches of Oz, but there are also striking resemblances in parts to both Frozen and Hocus Pocus without ever being as enjoyable as either of them. The story the filmmakers have chosen to tell is undeniably an interesting one, but the key problem throughout is that the picture never really settles on a solid and estabished tone. The narrative is at its best when serious, sinister and melancholy, but there are sequences of awkward humour that fail to tickle the funny bone and serve only to break the tension and atmosphere that is created so well in parts. This constant changing of tone results in a rather unbalanced viewing experience, with another hindrance, in my mind, being the inclusion of a number of superfluous action sequences that feel tailor made just for 3D, an option I decline to take up whenever I can. The film draws to a solid enough conclusion, but too many unnecessary detours are taken for a picture only ninety seven minutes in length, leaving the middle section to become rather bloated and baggy in comparison to the relatively tight beginning and end. 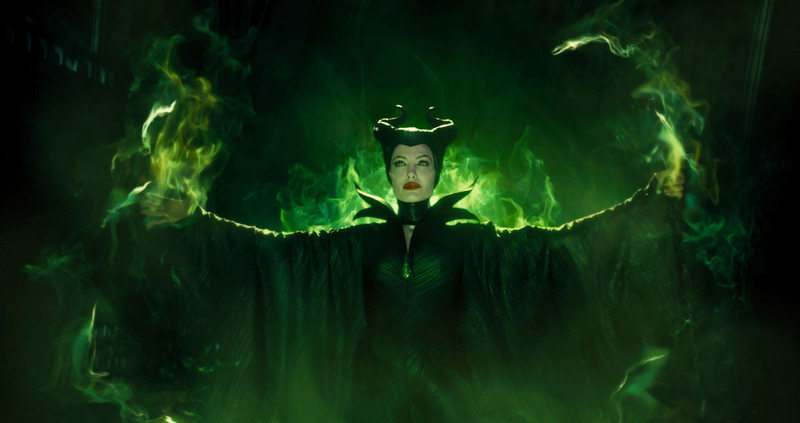 One thing the filmmakers did get absolutely right is the casting of Angelina Jolie as Maleficent. Jolie has the perfect aesthetic look for a live action version of the iconic character and is clearly having a ball in the role, at times verging on camp but never straying over the line of credibility. Some of the more revealing moments at the beginning of the film are played with great sympathy and vulnerability, and the protagonist’s journey remains within the realms of contextual believability thanks to Jolie’s commanding performance. In all honesty the rest of the cast are of no real importance when it comes to one’s enjoyment of the film, with Jolie pretty much carrying the weight of the entire picture throughout. Elle Fanning is suitably blonde and suitably bland as Princess Aurora, whose character is only really present for catalyst purposes in this instance. Sam Riley gives an interesting but underdeveloped performance as Diaval, a shape-shifting raven and Maleficent’s faithful sidekick. Imelda Staunton, Juno Temple and Lesley Manville give pleasant but rather out of place performances as the fairies charged with taking care of Aurora until her sixteenth birthday, with the three actresses providing most of the comic relief that so detrimentally confuses the tone of the film. The only casting decision to which I take real exception is Sharlto Copley as Stefan, who as well as looking much too old in the context of his role, performs rather forgettably and one dimensionally when put up aside the arresting presence of Angelina Jolie who seems almost born for the part. Overall, Maleficent is a spirited attempt to retell a much loved and universally known story, but it falls just short of being wholly satisfying. Angelina Jolie is everything you would wish her to be in the lead role, but the rest of the film fails to live up to her performance, of which half the brilliance is purely down to her enchanting aesthetic. The confused tone of the combating drama and humour make for an uneven watch and aside from Jolie’s screen presence there is very little memorable content. My fears about the trailer besting the picture were affirmed. My advice? It’s worth a watch and far from terrible, but the mystical tone set by Lana Del Rey’s Once Upon A Dream is, unfortunately, never truly realised. The trailer for this does look great and I shared your fears about it being non-representative. I may still have to see this just for Jolie’s performance which you describe here. I have never been a big fan of her wotk and any evidence to change my mind is always welcome. Planned on passing with this, but I am a huge Copley fan, though what you described of him makes me sad. Great review. Honestly, I feel kind of relieved that you gave the film a lukewarm review. I didn’t want to feel obligated to see it! Now I have the perfect excuse. (P.S. Not to be fussy, but I believe you meant “tailor-made,” not “taylor made” in the second paragraph). In fairness, it’s the role that is bland. You know, this is pretty much what I was expecting from it, so I’m not all that disappointed to hear it was a little underwhelming. Still wanna see it, though – for the good that you mentioned. Great review. I still haven’t seen Maleficent, but I’m still in no rush. I sort of felt like I should as a Disney fan, but the trailer never really gripped me. Thanks a lot, Allie! Really appreciate it!